AFI-Discovery SilverDocs 2012- What to Watch! June has arrived and with Summer just around the corner, so is SilverDocs! Tickets go on sale today for the week-long documentary film festival in downtown Silver Spring, Maryland. Silverdocs runs from June 18 to 24 and you can find the full film lineup here. Opening this year is the doc Don’t Stop Believin’: Everyman’s Journey, which follows the unbelievable journey (see what I did just there) of the band’s new frontman, Arnel Pineda, as he leaves his separate ways (worlds apart) in Manila and becomes part of one of the most popular American rock bands of all time. If all the classic songs aren’t enough, the inspiring rags to riches tale of Pineda should also leave you lovin’, touching’, squeezin’. Keeping the good tunes going, the festival is closing with another music doc. The Big Easy Express follows the bands Mumford & Sons, Edward Sharpe & The Magnetic Zeros and Old Crow Medicine Show as they travel on a six-stop tour from California to New Orleans by railway. This mix of beautiful scenery, jam sessions and concerts looks to surely please the audience and will keep their legs tapping. Got more time to kill? Check out our top-ten films after the jump! I’ve been waiting for someone to take interest in all those Guy Fawkes masks you see at Occupy protests all over the country. Filmmaker Brian Knappenberger explores the evolution of “Anonymous,” the “hacktivists” that have grown from online pranksters to a powerful collective whose actions now have global implications. My big question- how much did the Wachowski brothers and V For Vendetta inspire them? With Hosni Murbarak on trial and pressure building for a new way to deal with Syria, it’s important to look back and remember how the Arab Spring started and where it all goes from here. Enter filmmakers Omar Shargawi and Karim El Hakim who were on the ground in Cairo when the Egyptian revolution began. Their stunning, albeit disturbing, footage brings those chaotic days front and center to a global audience who only saw glimpses in the media. Here’s the type of challenge I like- spend 24 hours in an ER waiting room filming patients, procedures and problems in the hospital. Then take this footage and edit a telling portrait of the American public hospital and the issues they face. That’s exactly what Peter Nicks did with his film. Especially with healthcare being at the forefront of public debate, this film takes a unique angle to explore the issue. Ever thought about waiting until marriage for your first kiss? Filmmaker Mirjam Von Arx gets intimate access into a group of Evangelical Christians who believe chastity until marriage should be a core value of every man and woman. Von Arx follows Randy and Lisa Wilson and their seven children who have such a deep belief in this way of life that they created Purity Balls where young girls pledge their pre-marital virginity in a ceremonial ritual to their father. From a film that has nothing to do with male genitalia to another that only focuses on man’s proudest possession. 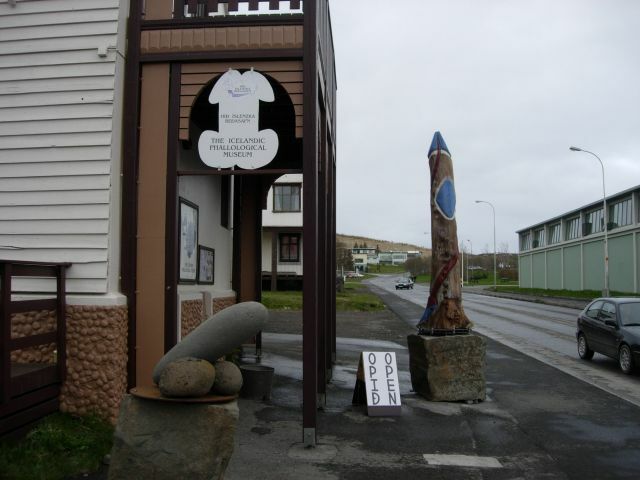 Jonah Bekhor and Zach Math follow Sigurdur Hjartarson as he searches for one last member to complete his collection of weird wieners for his Phallogical Museum in Iceland. Hjartarson has penile specimens of every shape and size except for one- the elusive human pecker. We hear that they’ll be asking for volunteers after the show! Bart Layton’s documentary thriller feels more like a M. Night Shyamalan blockbuster with twists and turns around every corner. What if a boy who is kidnapped in Texas shows up three years later in Spain? How does a family torn apart by tragedy begin to heal when they discover their child is still alive and returns to them? But what if the boy who returns isn’t the same person… or even the same son? What feels like the setup for another Sacha Baron Cohen film is actually a terrifyingly real doc about a man who buys his own ambassadorship in the Central African Republic. Mads Brügger uses hidden cameras to show just how ludicrous the life of a diplomat can be. While it’s clear he understands the humor in this posh and powerful lifestyle, does he add any serious commentary as to the state of foreign service and international diplomacy? Trash… as art… yeah, it’s been done. But not on the scale (and perhaps not quite as literally) as in this doc by Andrew Garrison. He looks to have found some great characters as he documents this garbage truck gala. For those looking for a laugh and to leave the theater feeling good, this film might be the one. Whoda thought that a junior high school in Brooklyn, New York was dominate at chess? Failing schools, poverty, budget cuts… we’ve seen it all before. But wrap those issues into the unique storyline of an unlikely group of students with a surprising skill and maybe you’ll get something new. This doc by Katie Dellamaggiore feels a lot like last year’s Waiting For Superman but hopefully won’t be staged. This quirky story of the trials and tribulations of a young love triangle looks like it should’ve been produced by Judd Apatow and starred Michael Cera. Still, the trailer has enough of a hook to leave me wondering- just where did it all go wrong!? Filmmakers Jason Tippet and Elizabeth Mims also use what looks like some brilliant cinematography to bring a fresh look at teen angst, rebellion and love.